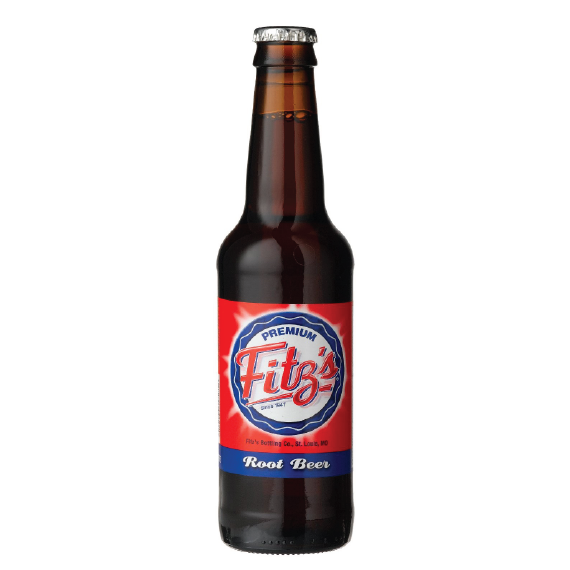 Noted for incredible smoothness and thick, creamy texture, Fitz's Root Beer is made from a closely-guarded secret receipe and contains many of the ingredients used in the original. Unlike most soft drinks, Fitz's continues to use pure cane sugar. The old-fashioned goodness of Fitz's must be tasted to be believed. To make sure your glass bottled beverages arrive safe and sound every time, we ship each set of 12 bottles in a separate, sturdy carton. All beverage shipments will be charged a flat rate of $10.99 per carton used. All beverages are shipped via FedEx Ground only. We are unable to ship to Alaska or Hawaii at this time. See Shipping Info page for additional details.